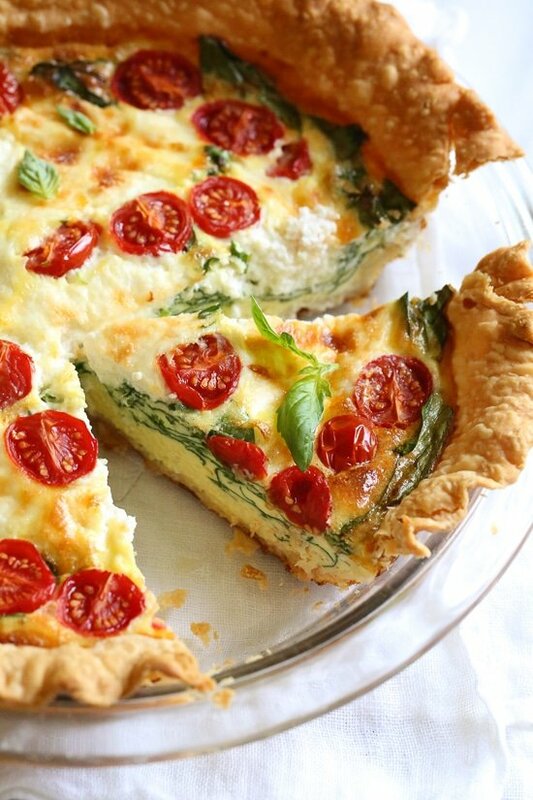 This easy vegetarian quiche recipe is made with spinach, ricotta cheese, eggs, tomatoes and basil. Perfect for breakfast, lunch or brunch or serve it with a salad for a light dinner. You may have tried my chicken quiche a few weeks ago, it’s the same basic quiche recipe which is so versatile, you can swap just about anything except the milk and eggs. Here I went for summer flavors I love, inspired from my father in laws Italian frittata which he makes with ricotta, delicious!